"Servopumpe Saginaw Mopar Big Block 1200-1350psi"
Saginaw Servopumpe mit Gehäuse, Riemenscheibe und Filler Cap. Kommt mit Riemenscheibe die direkt bei allen Big Block Motoren (ohne orig Klimariementrieb) passt. Die Riemenscheibe ist gepresst. 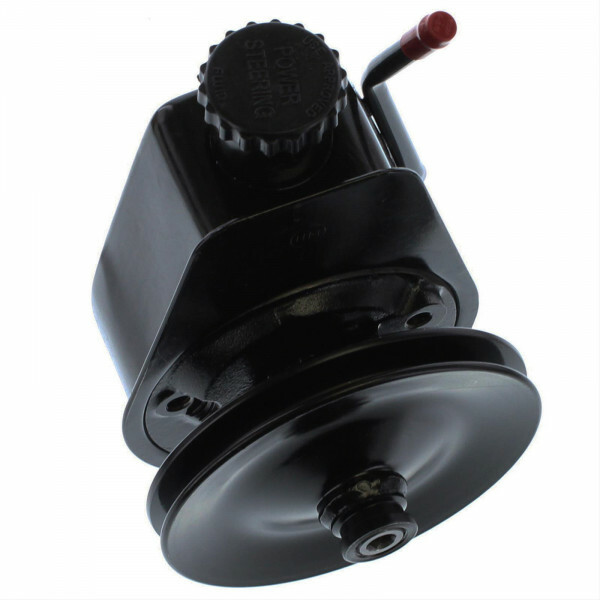 Saginaw style power steering pump with big block 383/440 Mopar single row pulley; Press-on style. original 3/8 in. hose barb for return line which comes out the center and bends straight down. All new components, not re-manufactured.